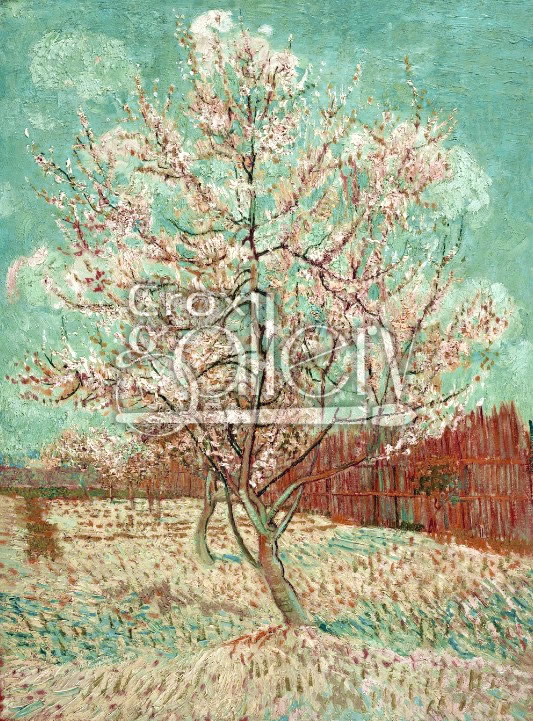 "Pink Peach Tree" by Van Gogh, Oil Painting Reproduction. 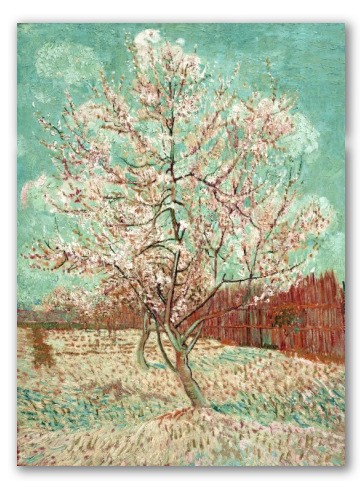 This painting depicts pink blooming peaches, at the beginning it was believed that this painting was part of a triptych. It was painted by Vincent in 1888 and is now located in the Van Gogh Museum, Amsterdam.